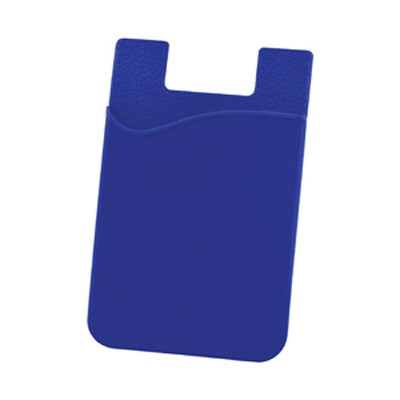 Features: The Sticky Pouch is a silicone phone wallet with 3M adhesive tape at the back. Made from durable silicone, it attaches to the back of your phone and removes easily. The adhesive backing sticks to both phone and case and it fits most flat backed phones.. Certification: CE, RoHS. Product Colour: Black, Blue, Red, White. Product Size: 86 x 57 mm. Print Area: 45 x 45 mm. Print Process: Pad print. Delivery: 2-4 weeks (indent) from art approval. Standard Packaging: Poly bag. Packing Details: 500 pcs per carton, 8 Kgs, 25x18x16 cms. Setups: Included.